Now hiring, print an application, fill it out and stop in or call (607-756-0900) for more information. 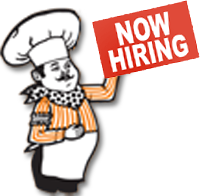 Pudgie’s Pizza seeks people who have an outgoing personality and share our philosophy of hard work and great food. 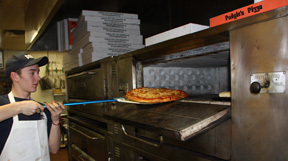 Hands-on training, a clean and safe work environment, quality business practices, advancement opportunities and meaningful work combine to produce not only our famous pizza, but also the best team members! Pudgie’s Pizza is an equal opportunity employer and provides excellent career opportunities for our entire team. We promote from within and reward based on performance. Great opportunities are waiting for you. Download Job Application here.